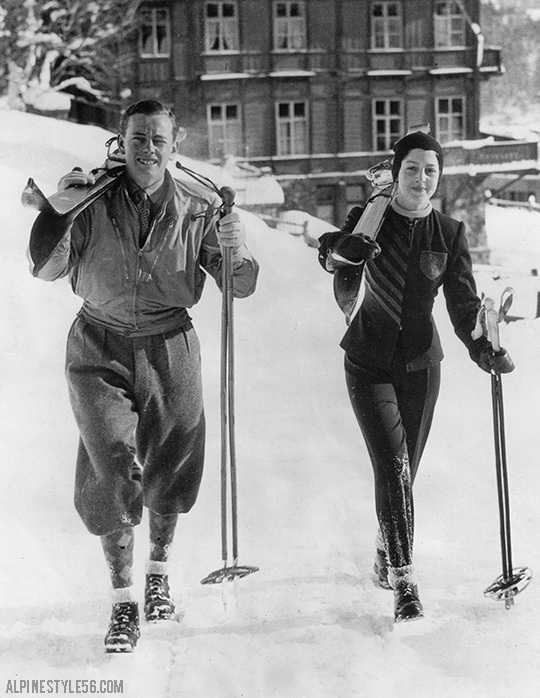 1/7/1939 Press Photo: St. Moritz, Switzerland. . . 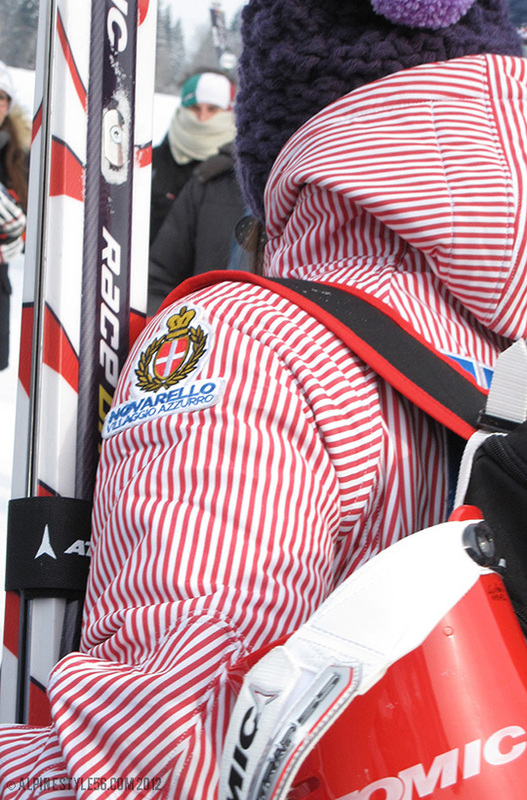 Escorted by the Marquis of Milford Haven, Princess Alexandria of Greece, Royal Coat of Arms embroidered on her ski jacket, is shown setting out for a ski jaunt at St. Moritz, where the society winter season is now in full swing. 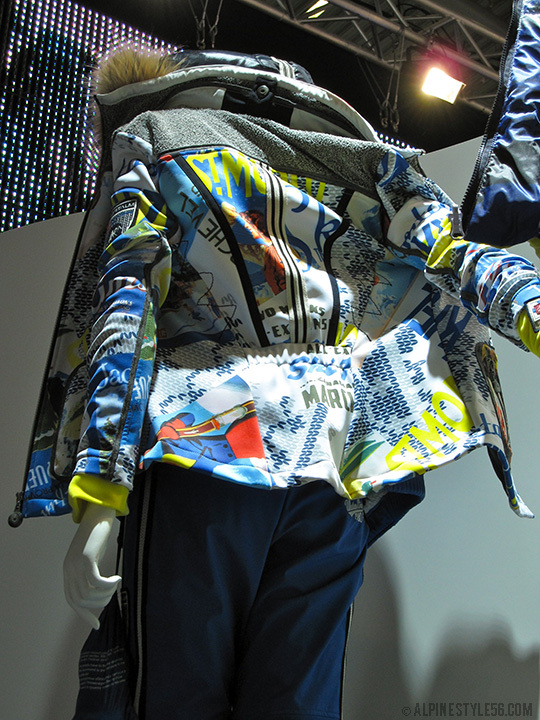 Truly an INCREDIBLE jacket! 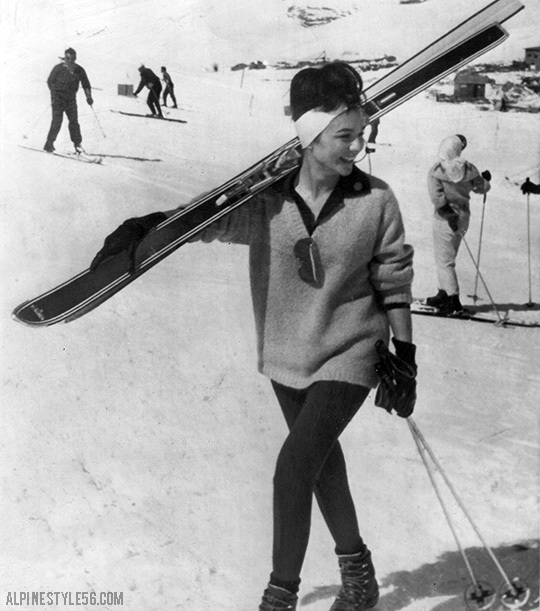 2/25/1962 AP Press Photo: In skiing, there’s an unwritten rule: Women must carry their own equipment. Iran’s Queen Farah is no exception. 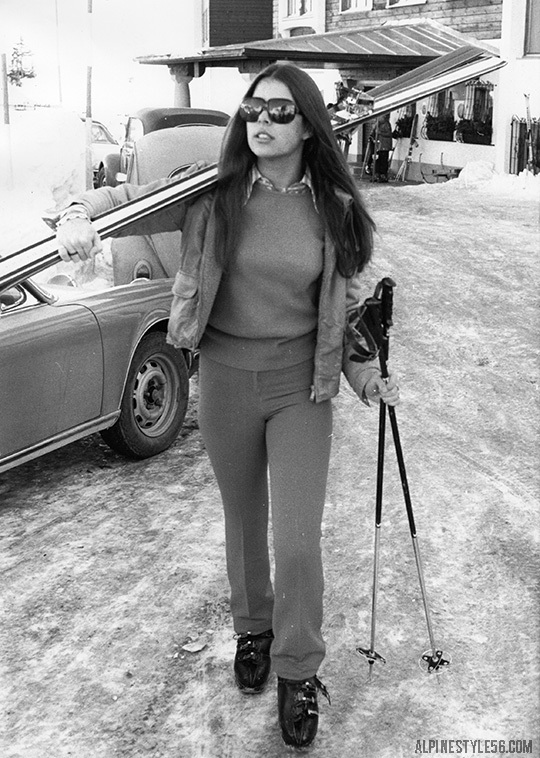 She happily carries her skis to the slope of Abe-Ail resort near Theran for an outing with her sports-loving husband, the Shah of Iran. 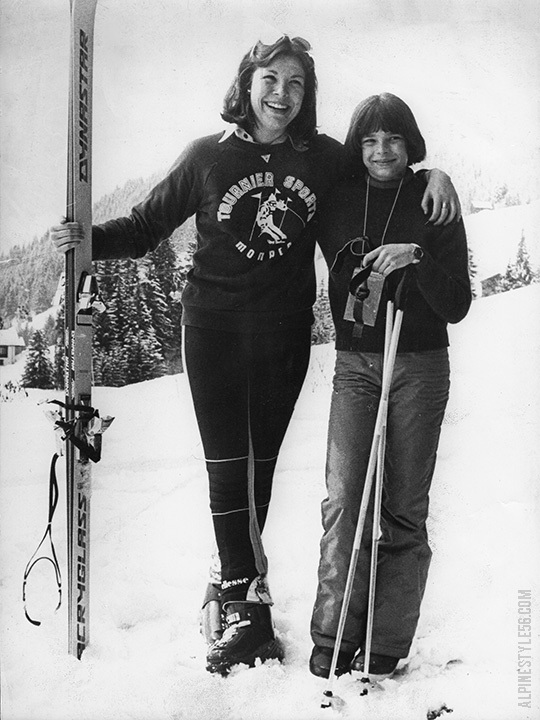 3/3/1977 Press Photo: Twenty-year-old Princess Caroline and twelve-year-old Princess Stéphanie ski in the Berner Oberland, Switzerland. 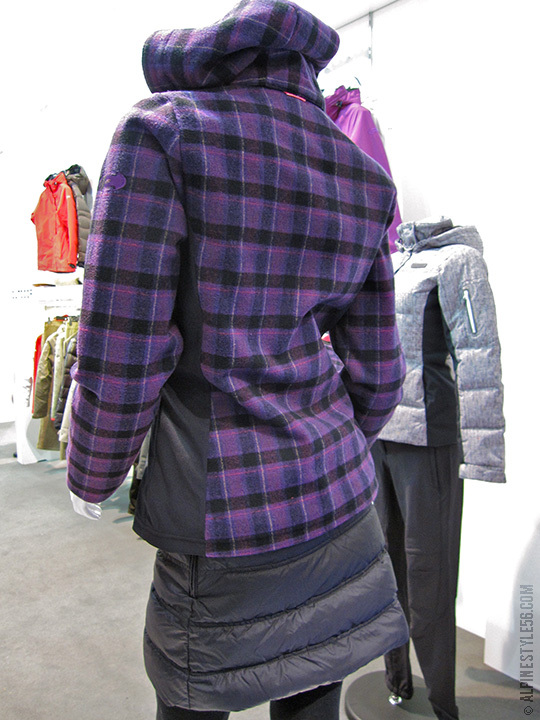 I can’t get enough of Caroline’s tomboy style: graphic sweatshirt from Tournier Sports Monaco paired with Ellesse Jet Pants! And of course. 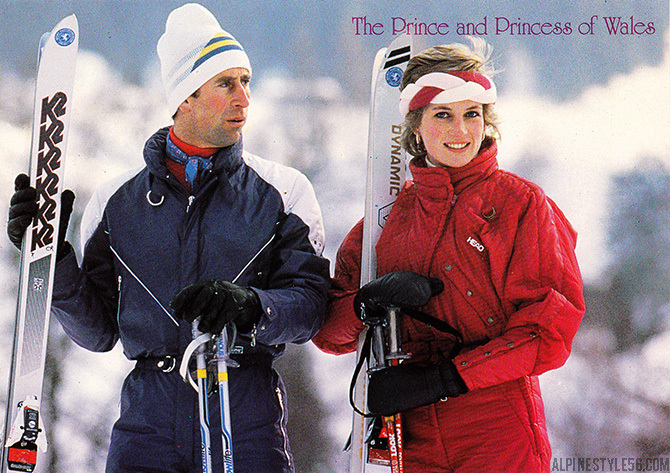 . . HRH Prince George of Cambridge’s grandparents, Charles and Di. 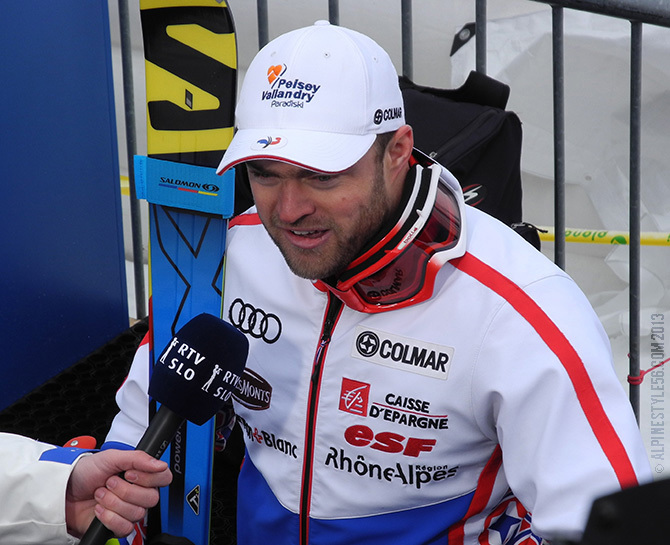 I think it is safe to assume that the newest little royal will follow in the tracks of his family and in a few years be skiing the slopes of Davos Klosters and the like. 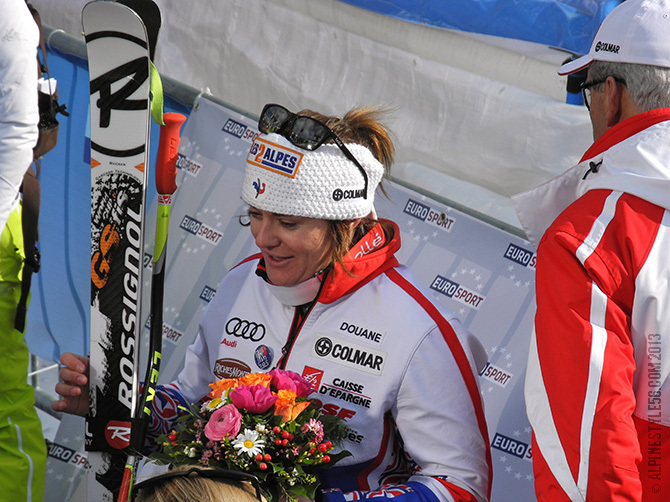 x Before Lindsey Vonn, Tamara McKinney was the “winningest American woman in ski racing history”. 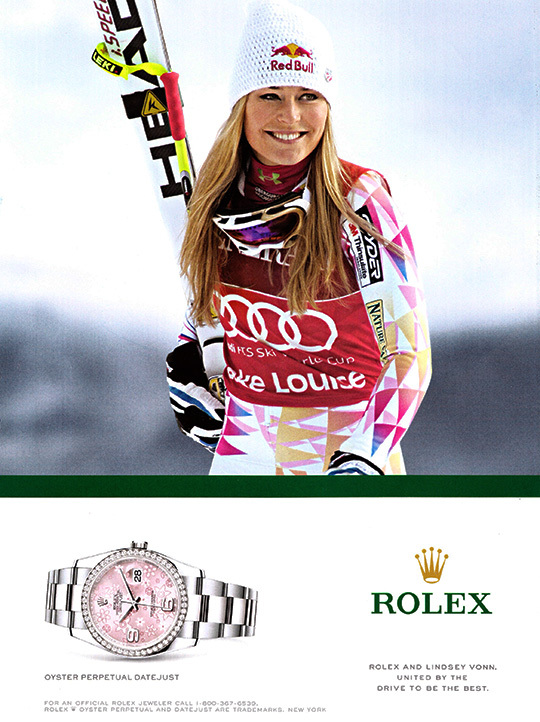 Rolex luxury watches gives their support to the best: Tamara then, Lindsey now. 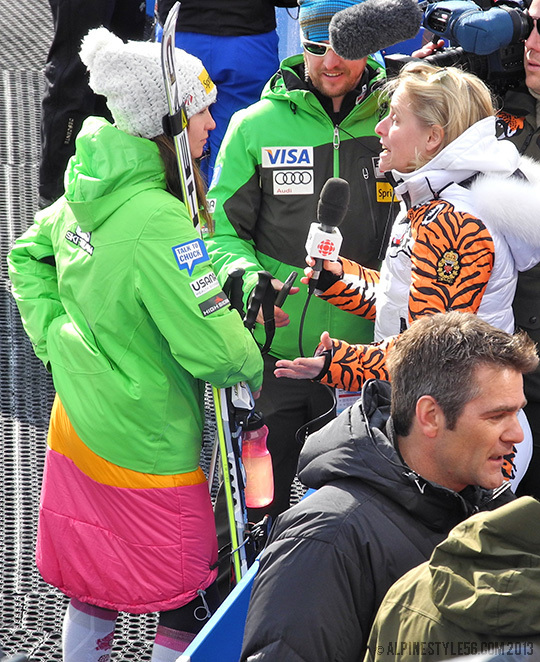 I instantly fell for this fantastic tri-color skirt worn by Julia Mancuso after her runs in Schladming. 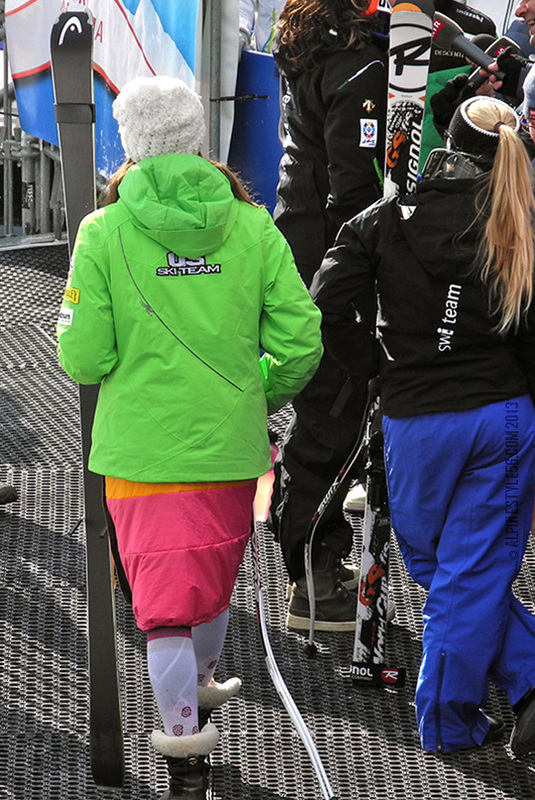 The Swedish brand Houdini is responsible for this skirt named Sleepwalker. 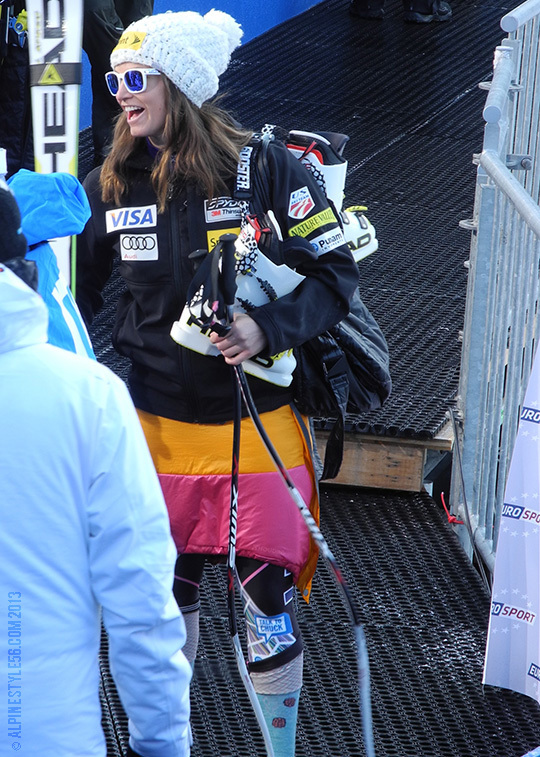 It is perfect to throw on over a speed suit — or more pedestrian garments such as base layer or ski pants. By far, this is my favorite of the insulated skirts I have seen – the relaxed silhouette looks extra cozy and the styling is the hippest with a little more sass than all the others. 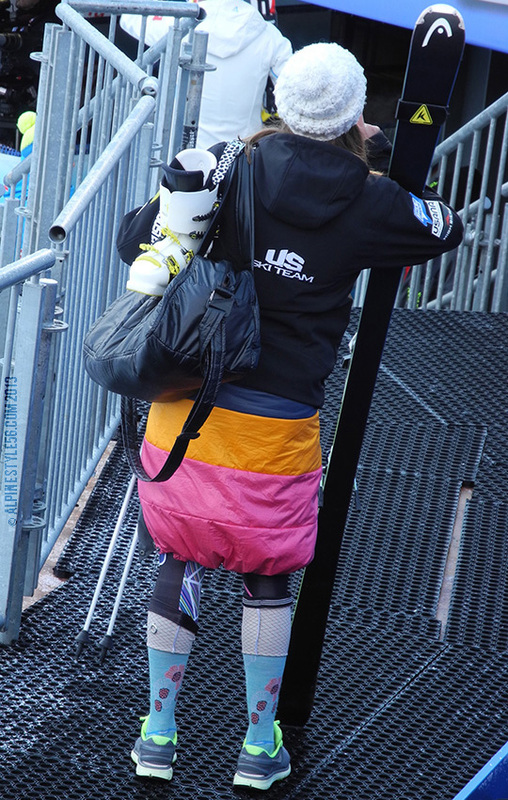 Speaking of sass, Julia is never short on style and effortlessly owned this look. Over the past several years, nearly everything I have found inspiring — and appealing to buy and wear myself – has been of Swedish design: Peak Performance, Hestra, Dr. Zipe and now Houdini. 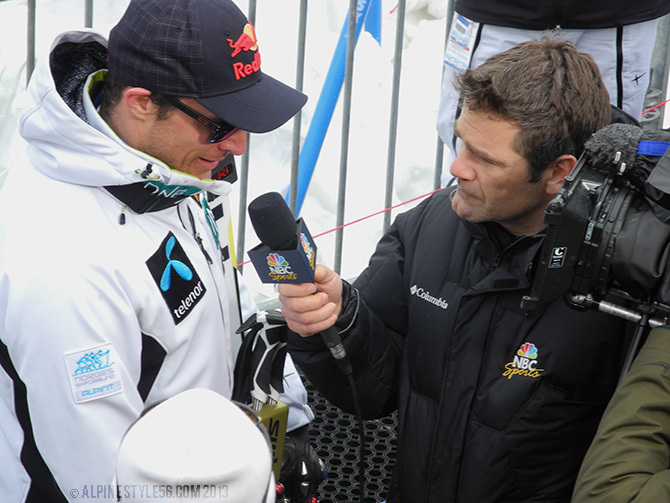 I like what I see and am excited to have a new apparel brand to follow. 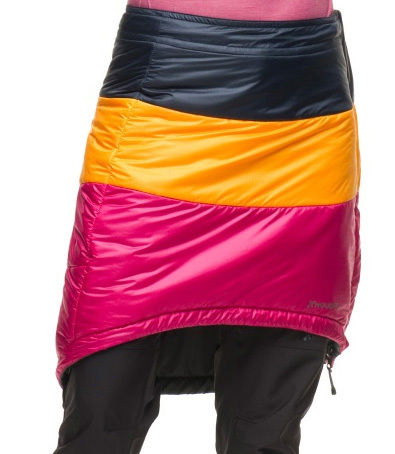 The Sleepwalker skirt is sold out this season – but will be on the top of my list next winter! 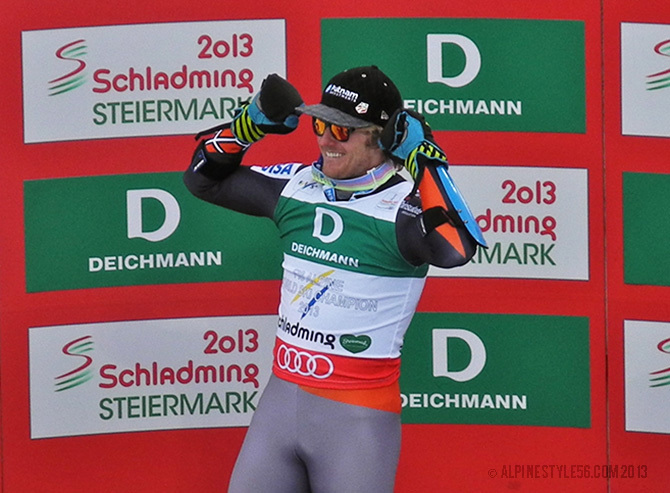 FIS Alpine Ski World Championships, Schladming 2013: Men’s Giant Slalom, Ligety 3x World Champion! 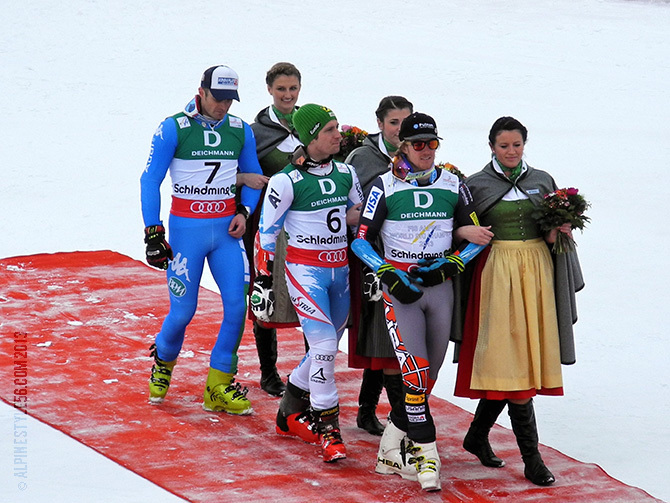 x x x x x Marcel Hirscher of Austria, 2nd place. 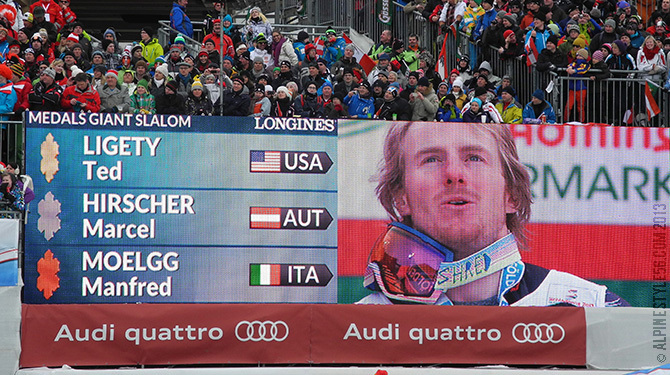 Ted Ligety of USA, 1st place. 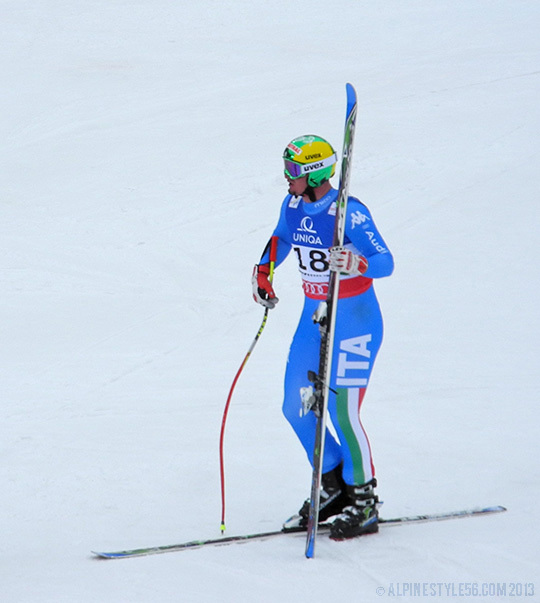 Manfred Moelgg of Italy, 3rd place. 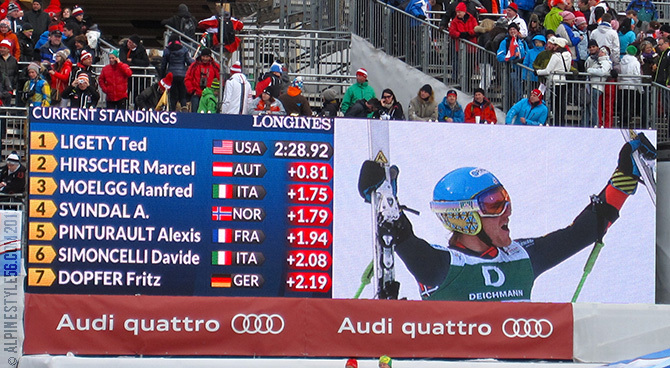 I love how they announced the start of Ted’s runs with “It’s Ligety time”. Yes, it was. It is. 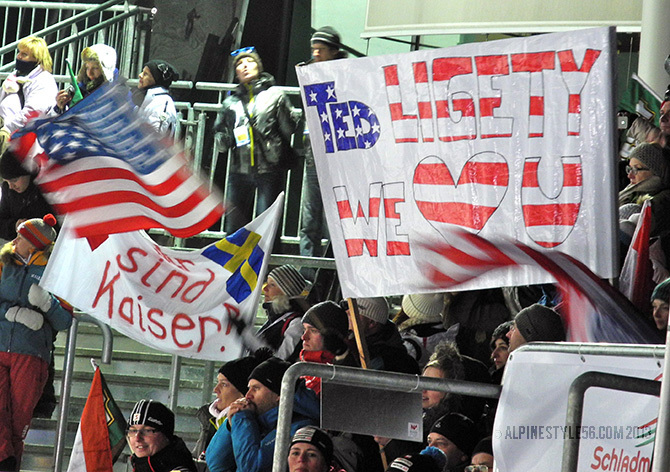 Not since Jean-Claude Killy in 1968 – 45 years ago – has there been a triple world champion — incredible. 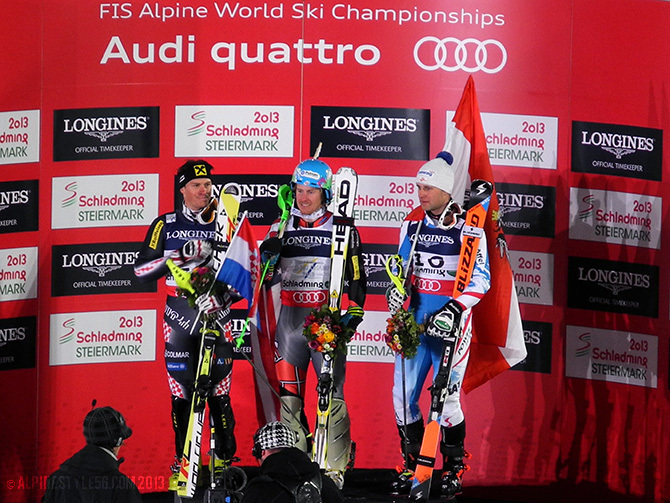 Congratulations, Ted! 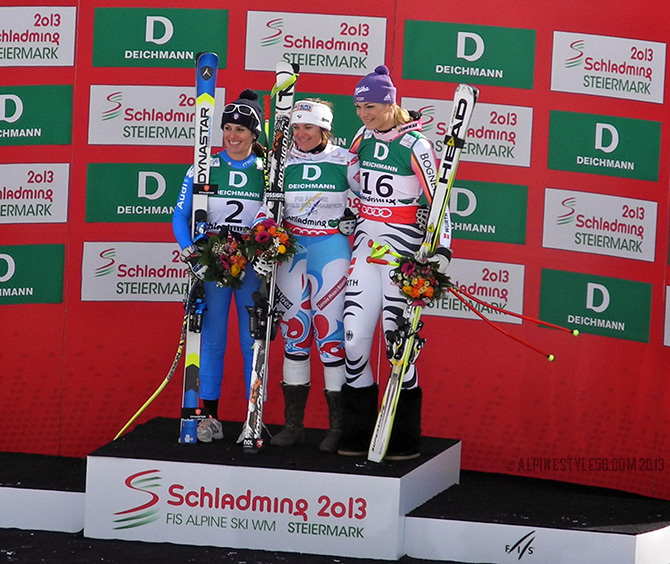 Tina Maze, Tessa Worley and Anna Fenninger, Austria – 3rd place. 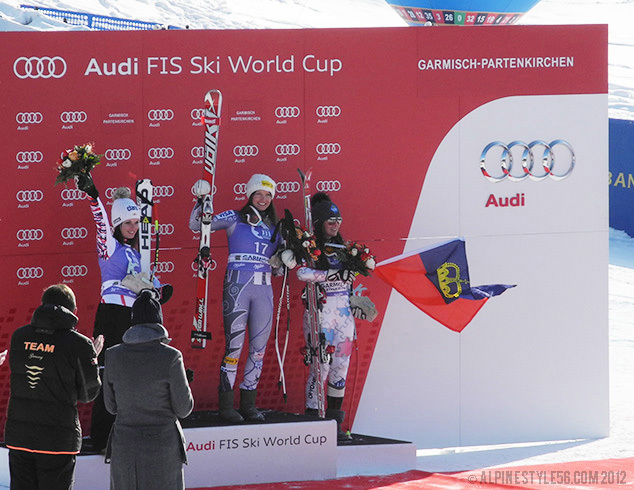 x x Mikaela Shiffrin had her best GS finish ever in 6th place! 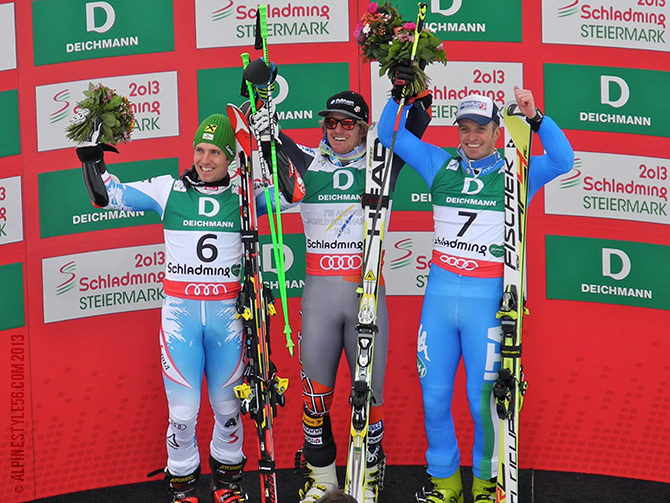 FIS Alpine Ski World Championships, Schladming 2013: Men’s Super Combined, Ligety Wins Again! 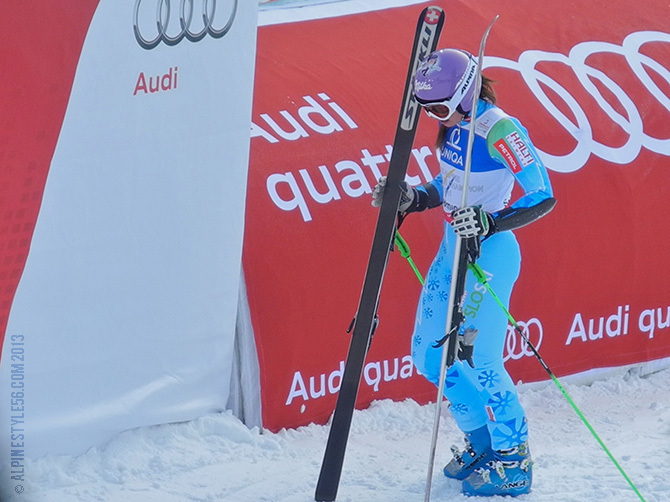 x Ivica Kostelic of Croatia, 2nd place. 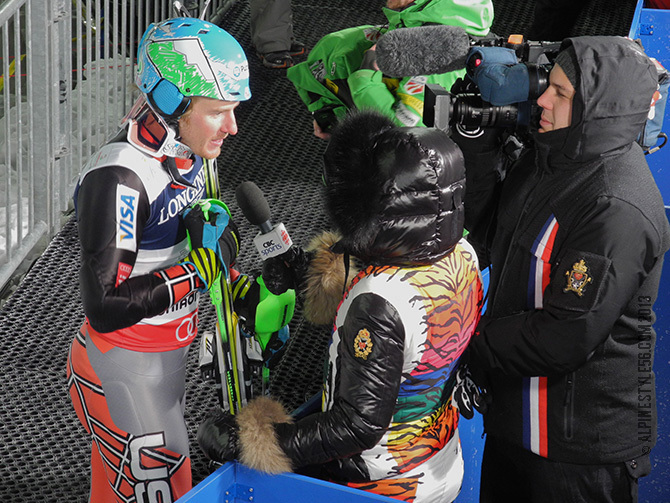 Ted Ligety of USA, 1st place. 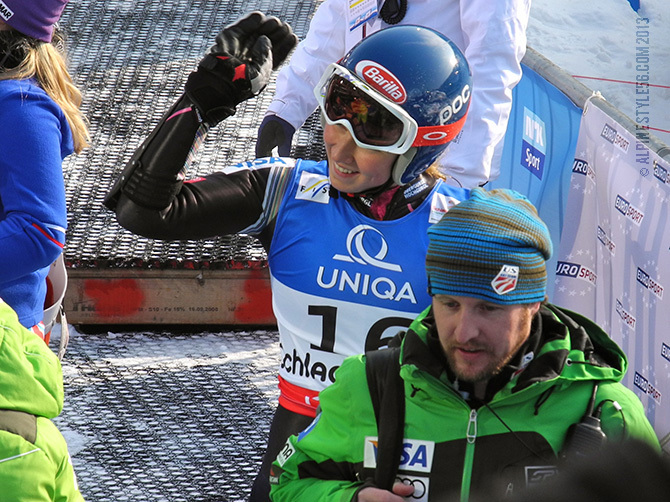 Romed Baumann of Austria, 3rd place. 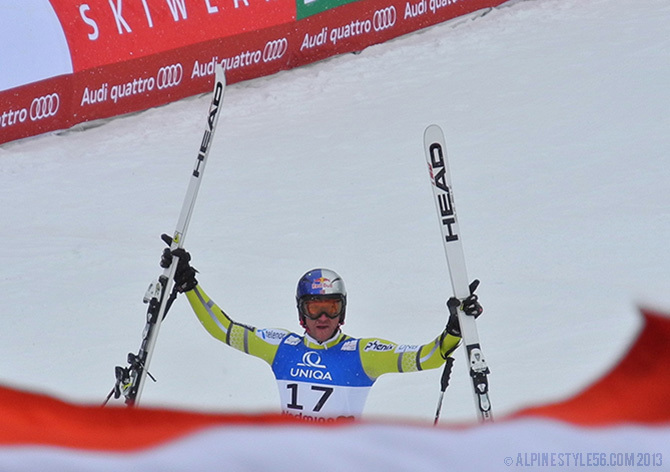 Ligety wins! 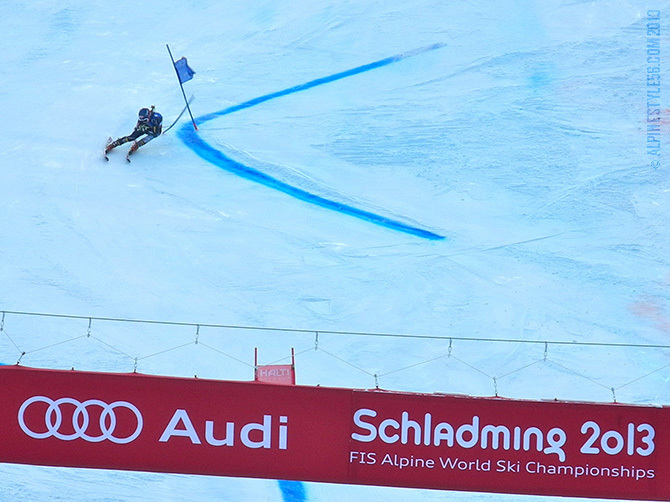 A slalom run of a lifetime, I’d say – coming from .72 back to win by 1.15 seconds. 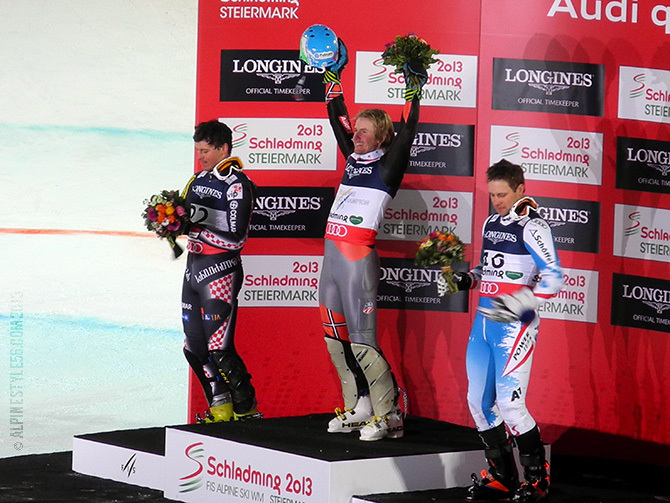 This makes Ted a double World Champ – winning gold in both events he has raced so far! 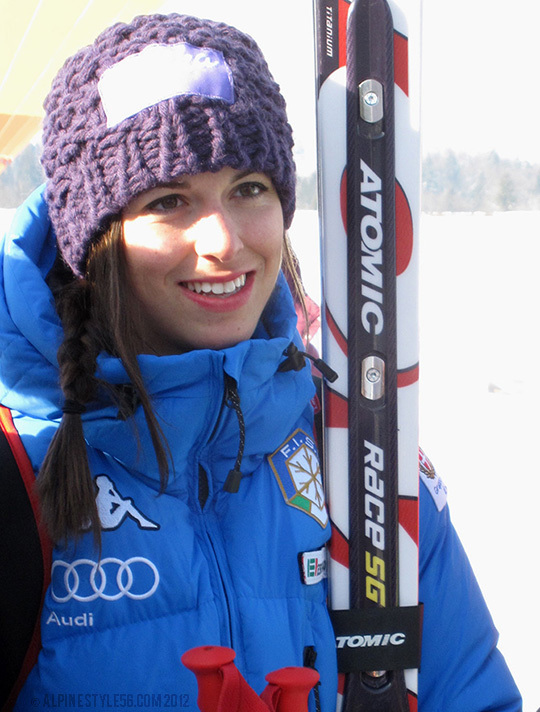 x Nadia Fanchini of Italy, 2nd place. 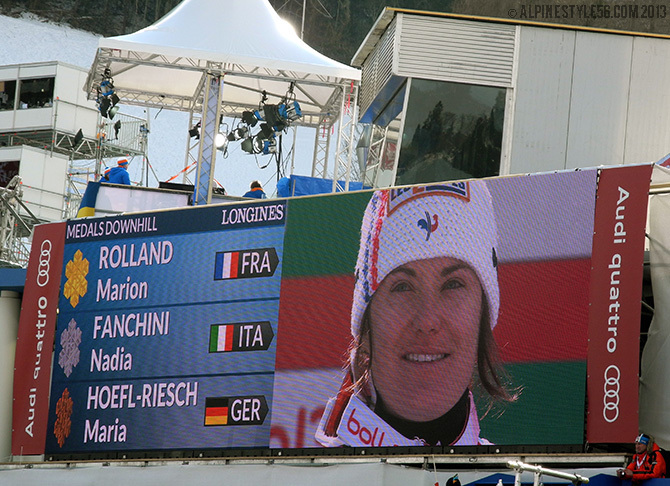 Marion Rollard of France, 1st place. 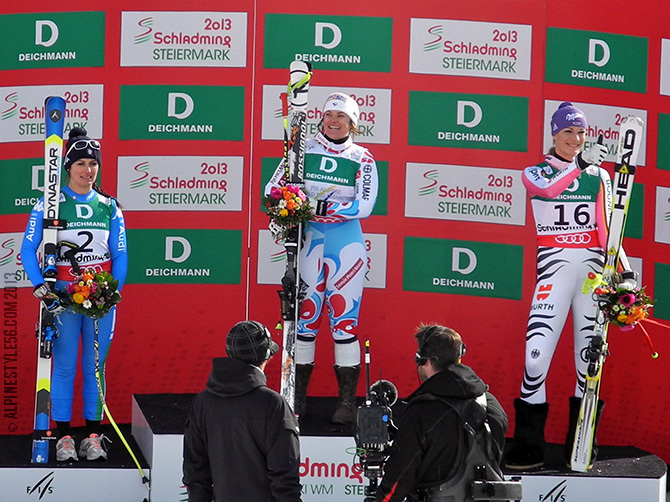 Maria Hoefl-Riesch of Germany, 3rd place. 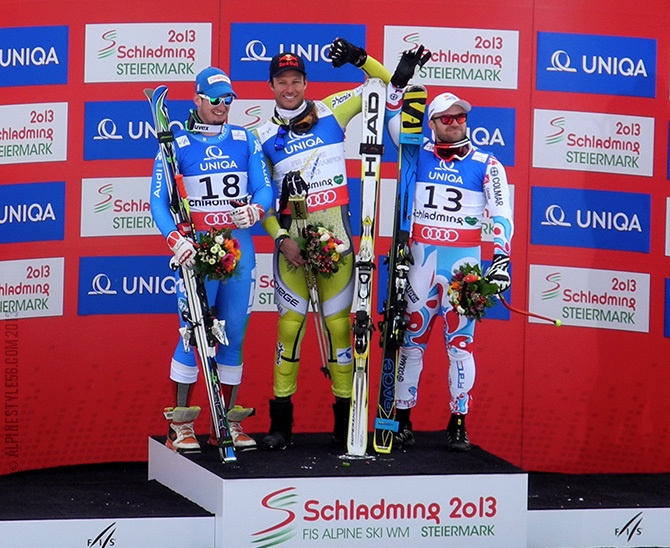 x Dominik Paris of Italy, 2nd place. 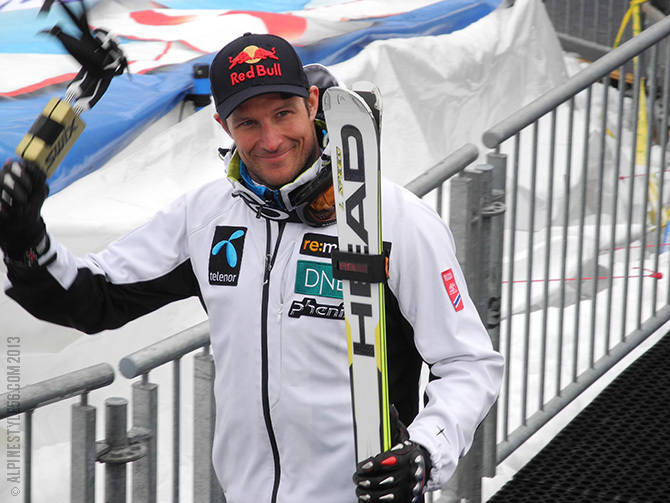 Aksel Lund Svindal of Norway, 1st place. 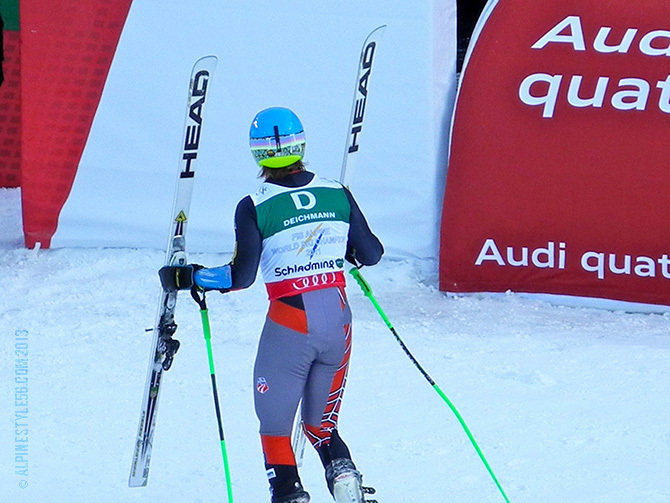 David Poisson of France, 3rd place. 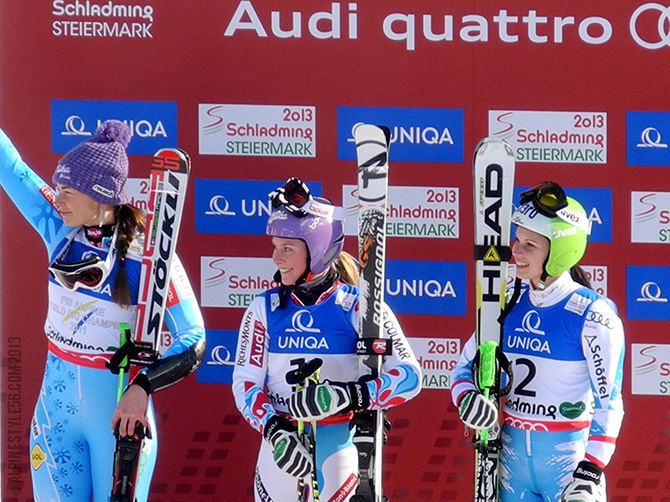 Elena Curtoni of Italy in finished in 5th place. 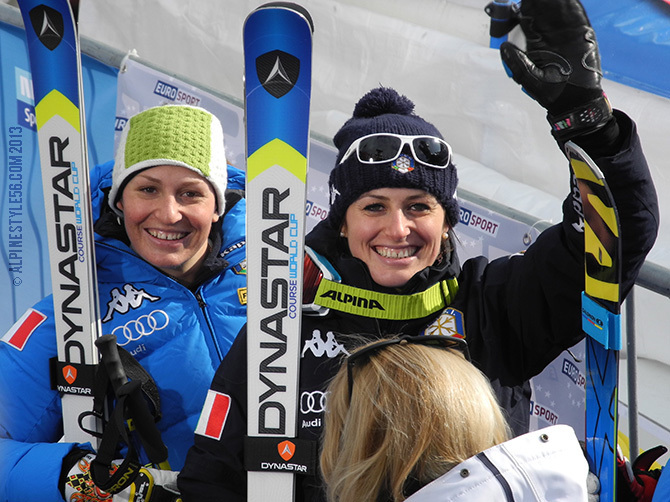 Stripes for the Italian ski team by Kappa. 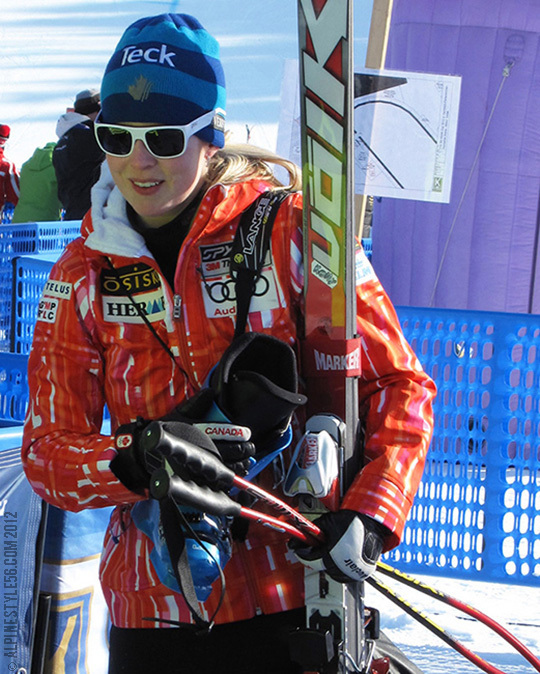 Kelly Vanderbeek of Canada in uniform by Spyder. 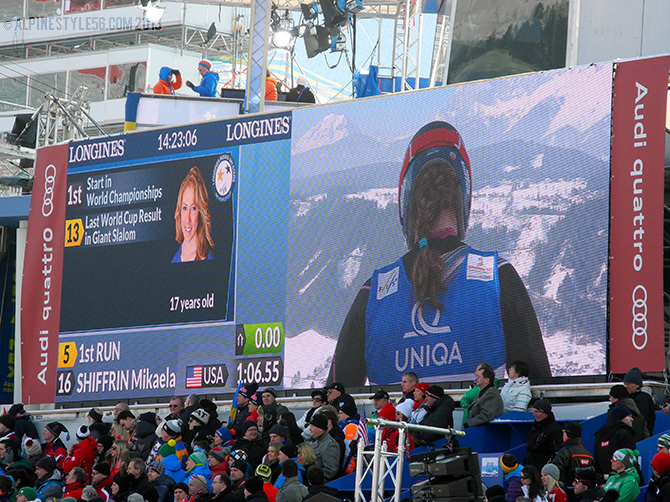 Julia Mancuso wins on the Kandahar! 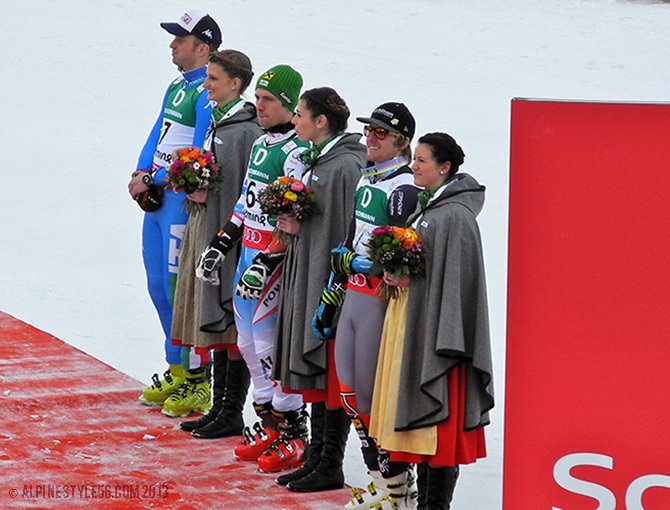 Anna Fenninger of Austria, second; Tina Weirather of Liechtenstein, third. 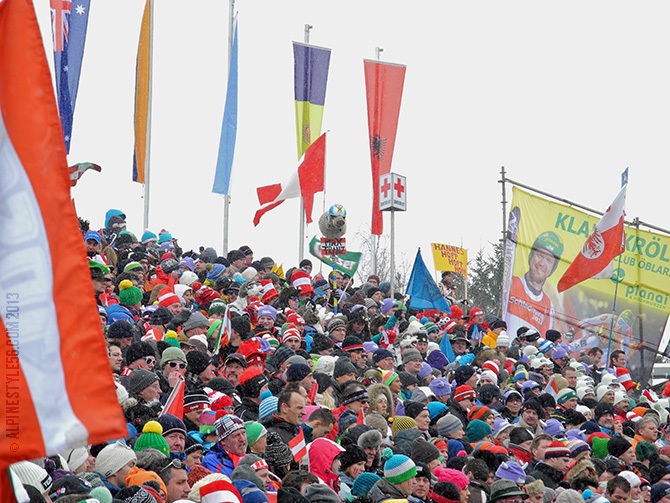 ISPO (International Sporting Goods Trade Show) in Munich, Germany is considered the leading industry event for ski, outdoor and action sports. 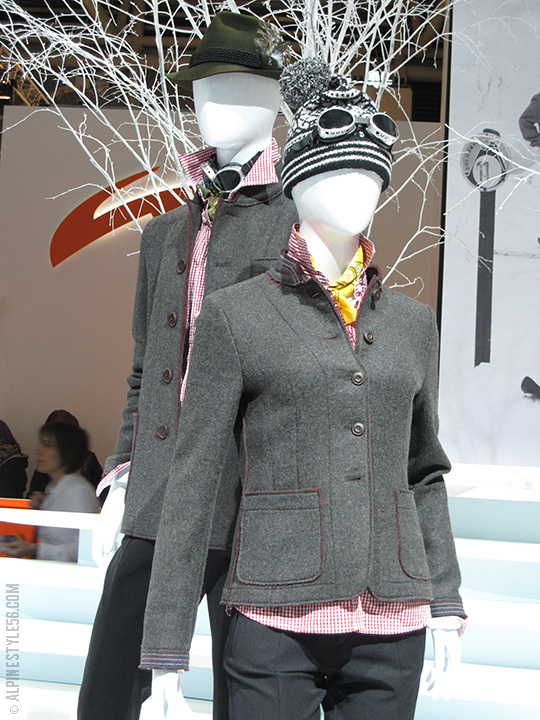 Here is a little overview of apparel for winter 2012/13. 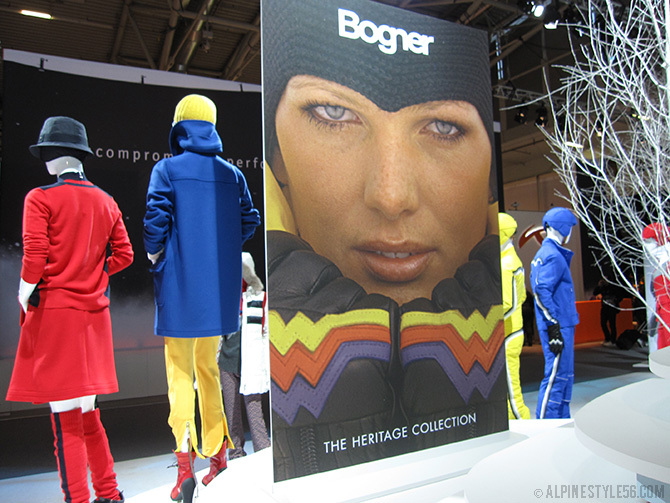 x Bogner celebrates 80 years with the Heritage Collection. 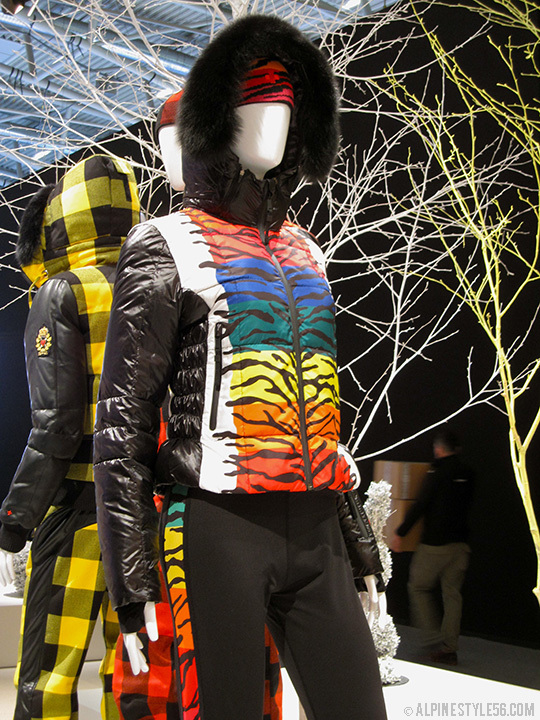 Jean Charles de Castelbajac for Rossignol – always exciting! 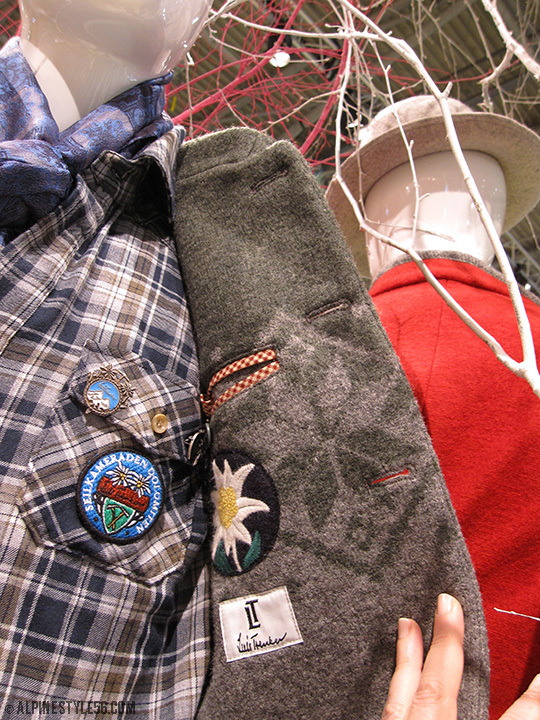 Luis Trenker – luxury alpine heritage. x Post Card by Belfe for “Italian style at high altitudes”. 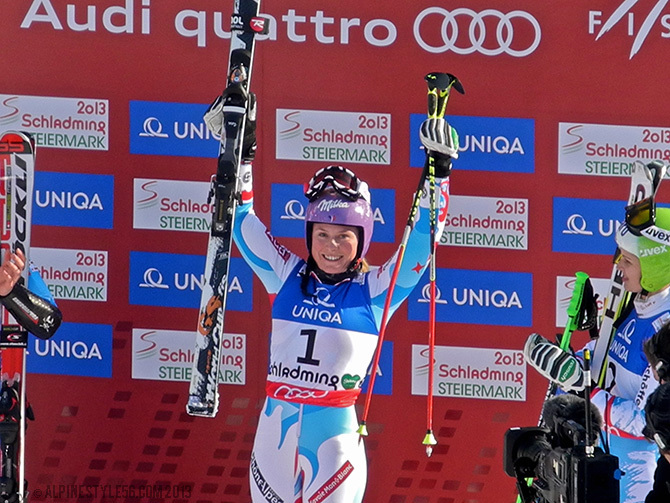 Reigning World Cup Overall Champion, Maria Hoefl-Riesch, with her signature Head ski line. 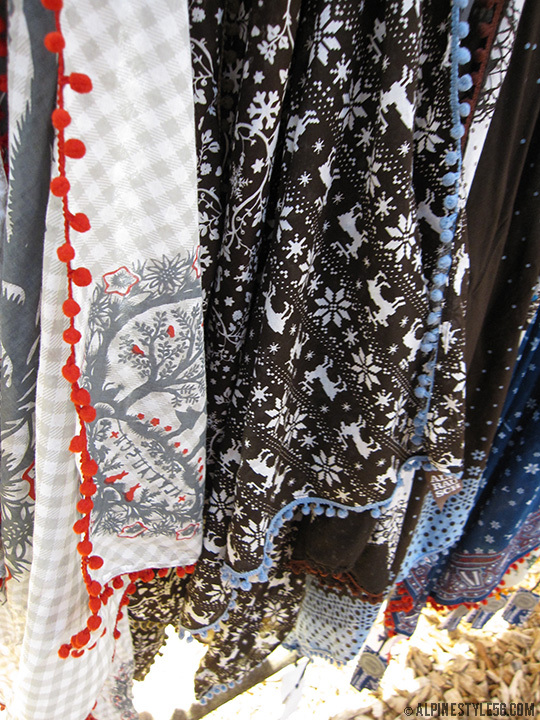 Alprausch scarves with traditional Swiss motifs. 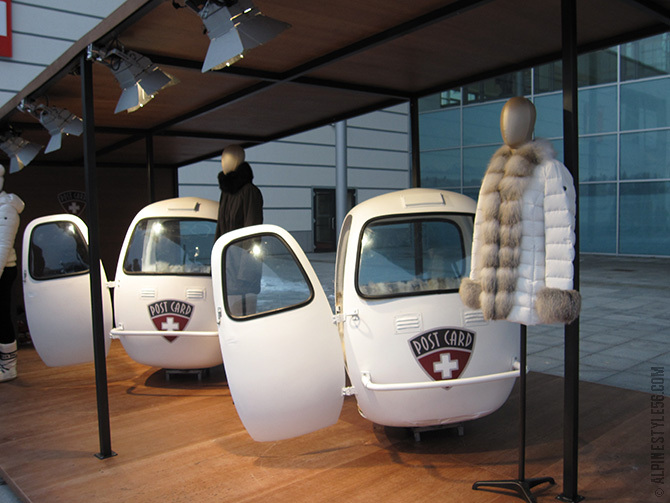 Can’t wait to visit the Alprausch flagship shop in Zurich! 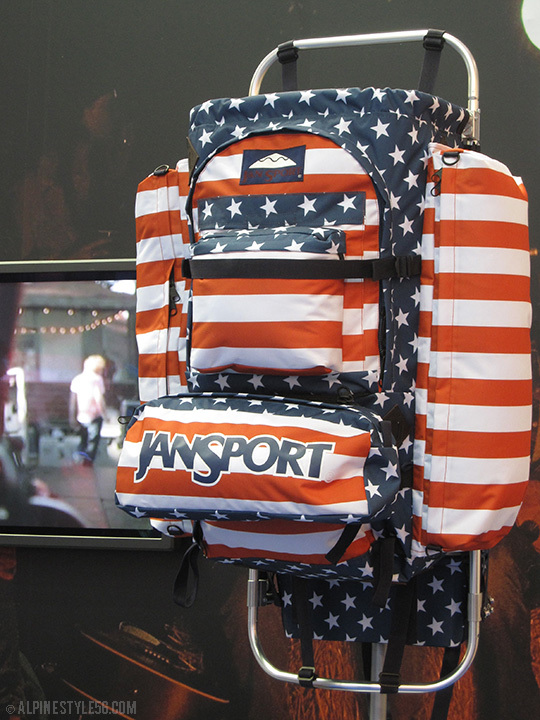 Jansport external frame backpack in heritage American stars and stripes. 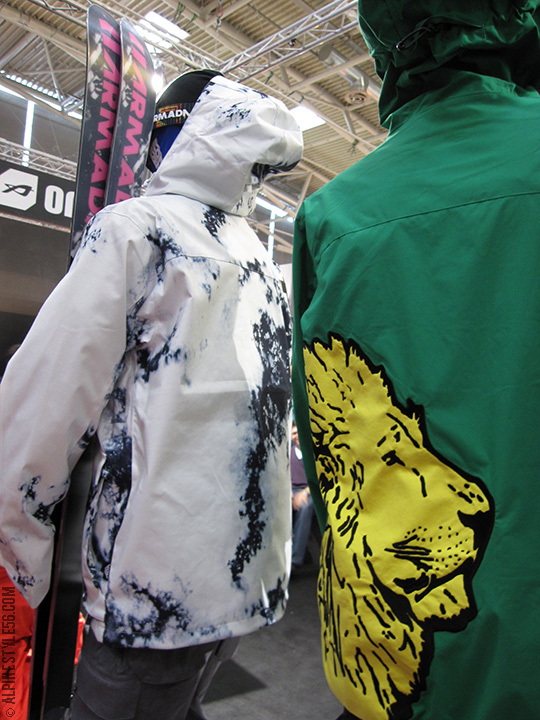 Armada Solo freeride ski jackets in Bleach colorway and CR Johnson edition. 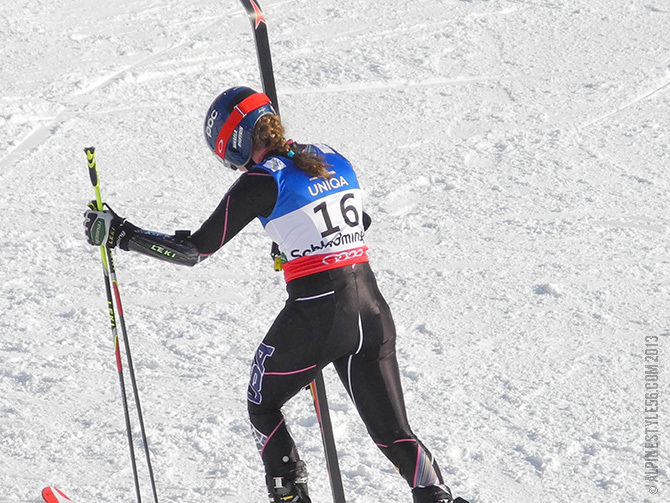 Perfect Moment from Chamonix, France. 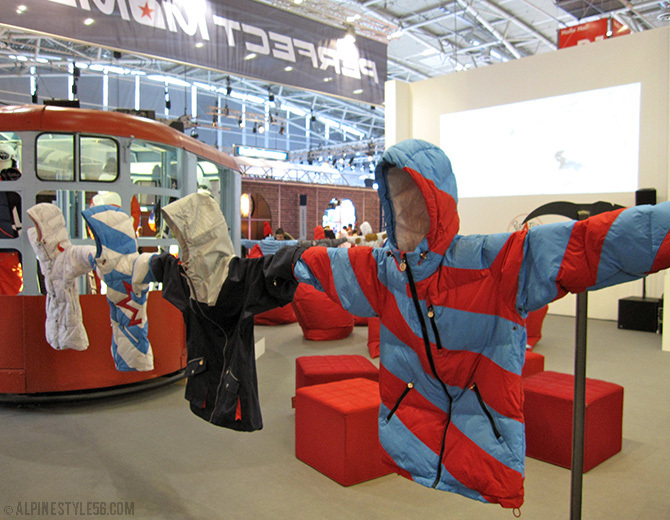 Young, bold freeride clothing – my favorite of the show!